Schools are supposed to prepare the young for a productive future. 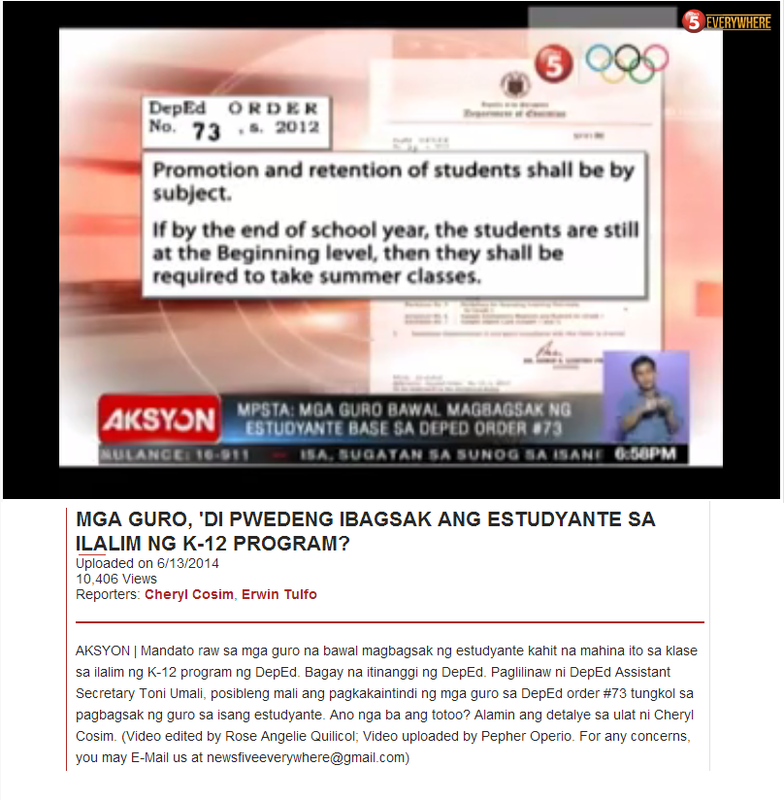 Basic education is provided by the government through public schools. Schools can vary from each other especially in terms of resources. The disparity in resources leads to a disparity in opportunities. And when opportunities are not equal, there is no equity. Unfortunately, schools that need more resources are often the ones under resourced. This sad state exists in the United States and a recent report for the state of Washington demonstrates that less opportunities are provided in schools that have more students living in poverty thereby exacerbating the effects of poverty on education. 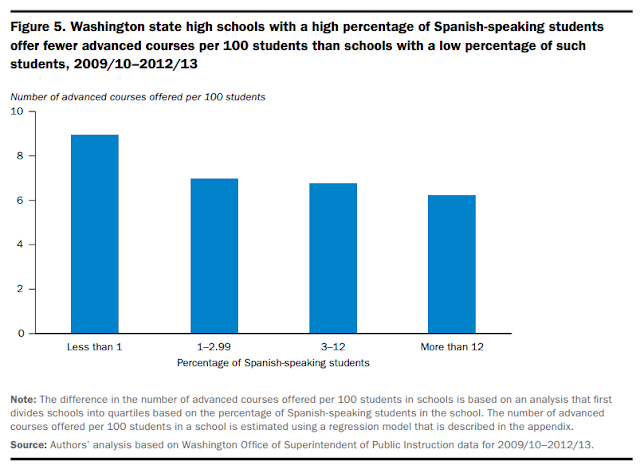 The report authored by Havala Hanson, Biraj Bisht, and Jason Greenberg Motamedi of Education Northwest looks at the number of advanced courses taken by students in high schools in the state of Washington. Taking these advanced courses is correlated with a higher chance of enrolling in college. 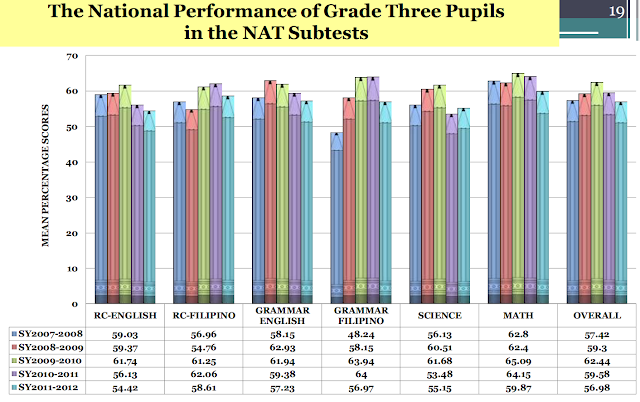 Students are grouped according to their language status. 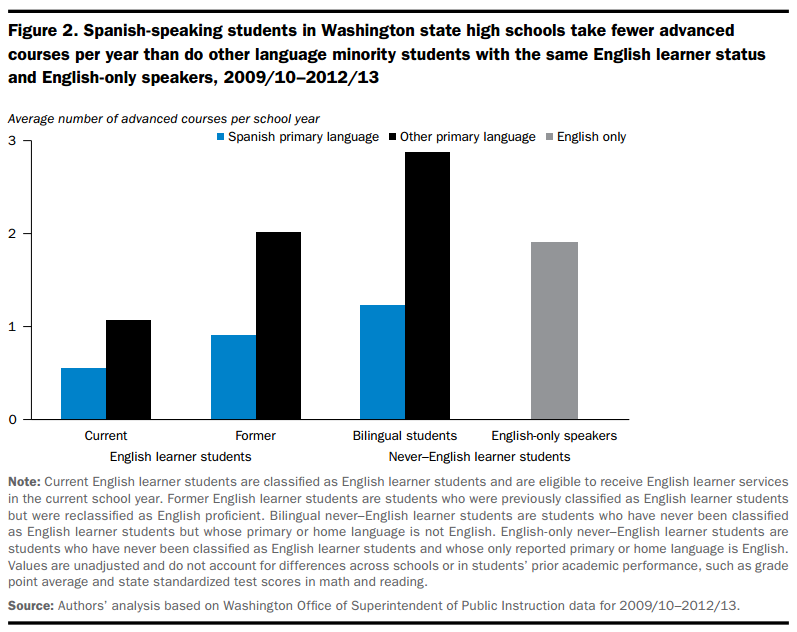 English language learners who have Spanish as their native tongue are shown to take the least number of advanced courses. The above chart shows that for all three categories: current and former English learners, and bilingual students, Hispanics are lagging behind other students in the number of advanced courses taken per year. Zeroing on the low participation of Hispanic students in advanced courses may actually suggest that there is something wrong with Spanish language since those who have a primary language other than Spanish are able to take advanced courses. Of course, the Spanish language is not expected to limit the learning capacity of a child. Yet, it is amazing that across the board, having Spanish as one's mother tongue seems debilitating. 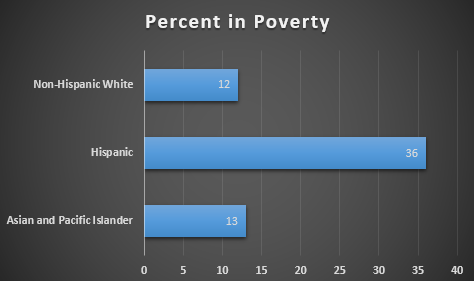 In order to see the real reason, one needs to look at another piece of data, the rate of poverty for children in Washington state across ethnicity. More Hispanic children live in poverty. One important finding from the Education Northwest study is the fact that as the percentage of Hispanic children enrolled in a school increases, the number of advanced courses decreases. All that needs to be done to arrive at the final conclusion is to connect the fact that more Hispanic children are in poverty to the above graph to see that schools that serve more poor children offer less advanced courses. It is not the mother tongue, it is poverty that defines what opportunities are provided to children. Should We Give "Zero" As A Grade? "What You Don't Know Won't Hurt You"